There are lots of great flavour combinations that we know of and usually they are of opposite flavour profiles where sweet meets salty like this mango and fermented shrimps but sometimes there are dishes out there that defy this logic and one example of that one is this Garlic and Herb Mussels. You are seriously killing me with this shot! I can’t find fresh mussels anywhere so I’ll have to satisfy my craving with your photos! damn delicious, i ever had mussel imported from New Zealand, it’s very meaty and plump…. 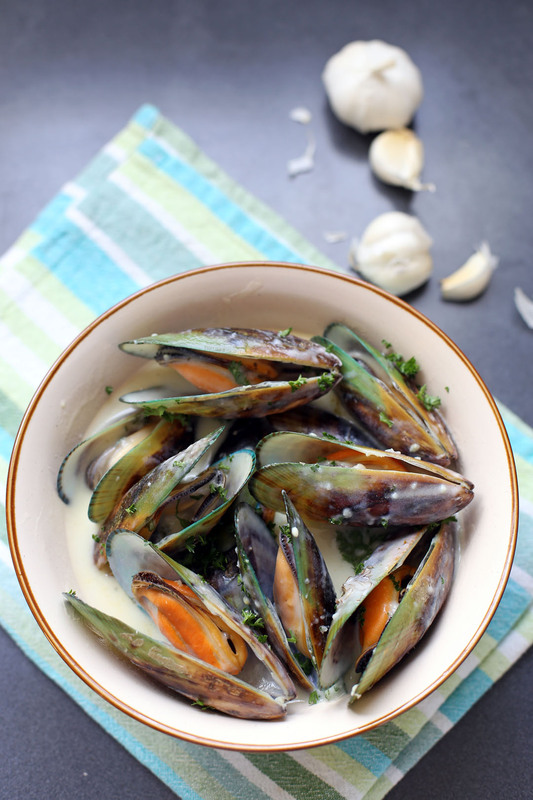 That bowl of mussels looks scrumptious and absolutely delicious with those 6 cloves of garlic.